With only a few companies taking mobile performance fraud seriously, large customers grew increasingly frustrated. 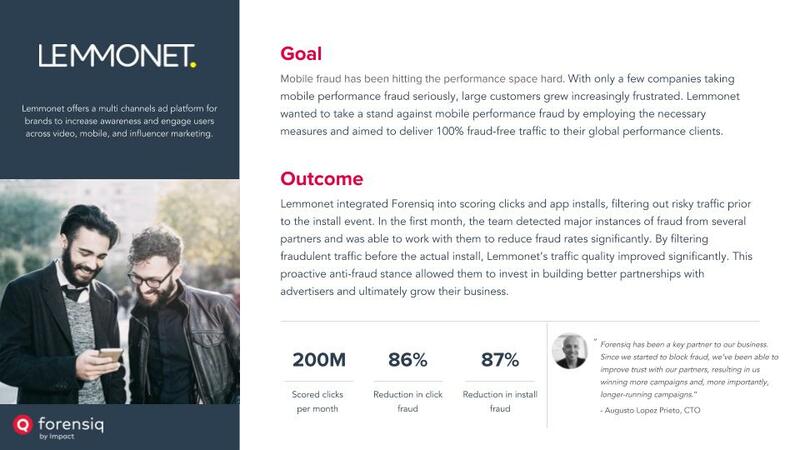 Lemmonet wanted to take a stand against mobile performance fraud by employing the necessary measures and aimed to deliver 100% fraud-free traffic to their global performance clients. Yes, I would like to receive marketing communications regarding Impact products, services, and events. I can unsubscribe at a later time.